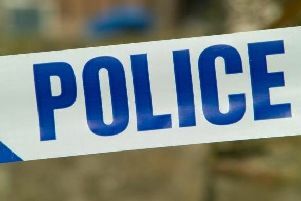 Officers have arrested two people in connection in a burglary in Glynde. Officers stopped a car near Uckfield which is believed to have been stolen this morning (Tuesday, January 15). The vehicle was reported stolen at 11.15am from Glynde and was seen around 11.30am on the A22 but failed to stop for police. Officers managed to quickly stop the vehicle at the roundabout junction with A26, causing damage to the car and the police car. Thankfully no-one was hurt. Two people were arrested at the scene. The road was closed while recovery of the damaged vehicles took place. A 28-year-old man and 20-year-old man are currently in custody, said Sussex Police. The 20-year-old was arrested for failing to stop and burglary and the 28-year-old was arrested on suspicion of burglary, dangerous driving and failing to stop. They are both still in custody.